E. leutei was first described from Carinthia, Austria by Robatsch in 1989. 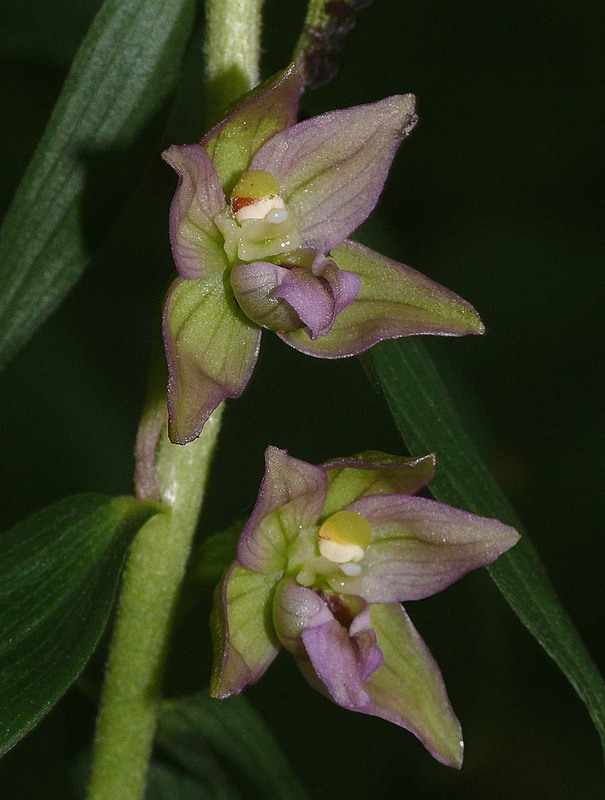 It is one of Europe's lesser known Epipactis species and also one of the more difficult to identify. 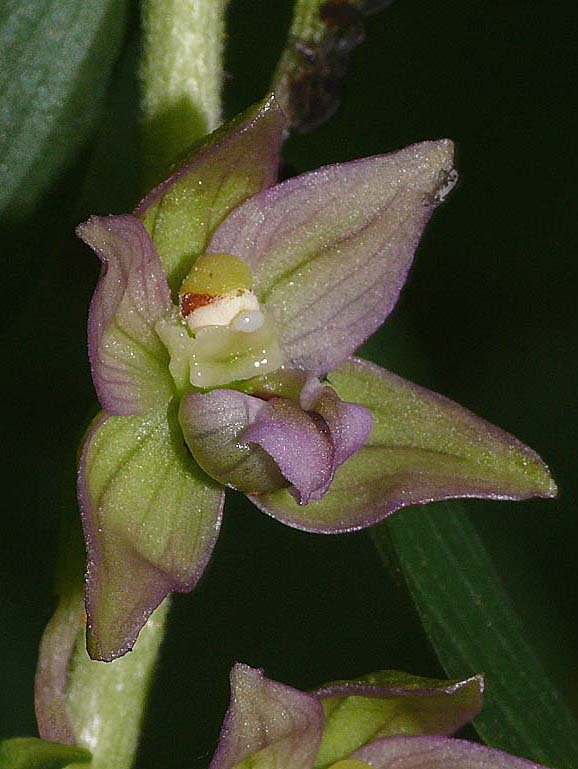 Some authors prefer to regard this taxon as a subspecies of E. helleborine and in some of its forms it can strongly resemble this species, particularly where the latter is growing in deep shade and suffered etiolation. The range of this species is not fully understood but to date it is only known with certainty from a limited area in the Carinthia region of Austria and neighbouring Slovenia. It has recently been reported from the former Czechoslovakia but this has yet to be conclusively confirmed as the same species. 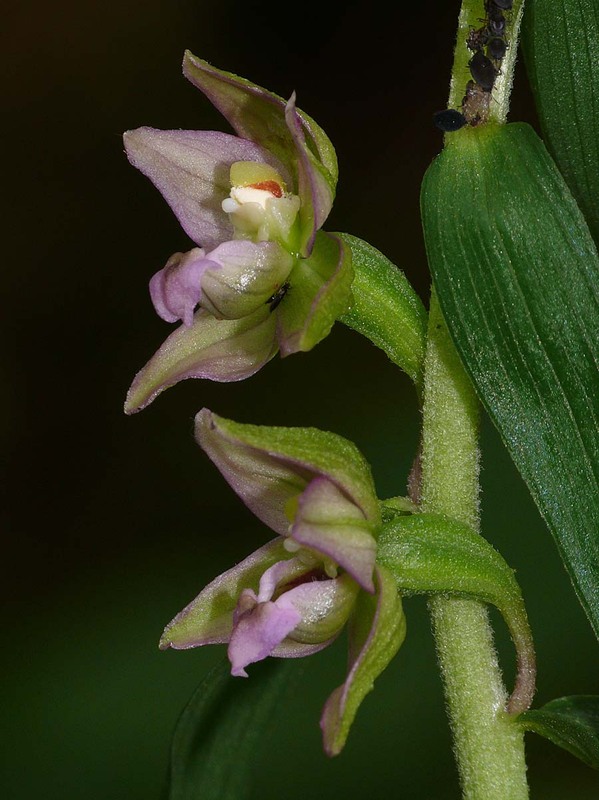 This is an orchid that seems to require very specific habitat conditions, most importantly woodland with an airy but humid environment where it seeks out a position in shade, though normally on the margins of clearings and tracks rather than in the deep cover of the inner forest. 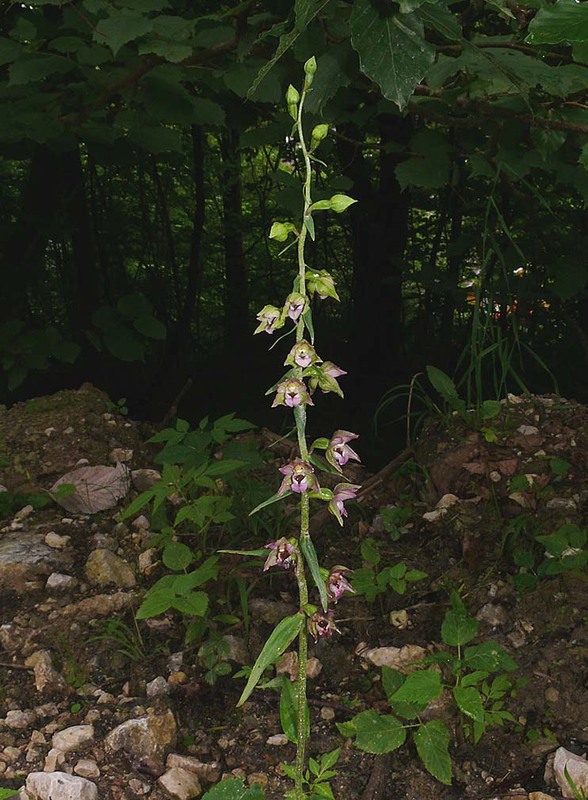 As already mentioned E. leutei can easily be confused with forms of E. helleborine but the key differences are as follows :- In E. leutei, the flowers are slightly smaller, less coloured and the perianth more open. The epichile is pointed and marginally longer than it is wide, though this is often difficult to detect due to recurvation. The inflorescence is lax and the flowers often grouped in three's at intervals up the stem. The base of the stem is tinted red/brown as are the flower stalks, albeit less so. The leaves are narrower, fewer in number and the lower bracts significantly longer. The pictures come from the Karawanken range of mountains in the Austrian south Tyrol and date from the second week of July.